More information on Rural Planning Organizations in North Carolina may be found here. *Note: meeting dates are subject to change to comply with NCDOT deadlines. More information of the P5.0 Methodology process, may be found here. Last Meeting for 2017 was Thursday, November 30! 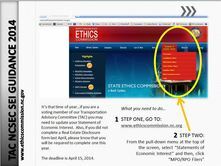 For State Ethics Commission 2017 Helpful Tips, click here. The next meeting of the Kerr-Tar TAC/TCC was held on Thursday, November 30, 2017 from 3-5 pm at the KTCOG Office, 1724 Graham Avenue, Henderson, NC. Action items will include a Resolution in Support of a NCDOT Bicycle and Pedestrian Planning Grant Application for the Town of Warrenton, as well as a Resolution to Endorse the Granville County Comprehensive Transportation Plan update. Please click here for our November 30, 2017 meeting agenda. Please click here to view the draft September 21, 2017 meeting minutes. For the November 30, 2017 TAC/TCC meeting packet, please click here. Kerr-Tar TAC/TCC met as scheduled on Thursday, September 21, 2017 from 3-5 pm at the KTCOG Office, 1724 Graham Avenue, Henderson, NC. Please click here for our September 21, 2017 meeting agenda. At the upcoming September 21 TAC/TCC meeting, members will look at the KTRPO P5.0 Subcommittee proposals and move forward. We will have TAC/TCC action items on the Kerr-Tar P5.0 Prioritization projects as well as the Division Needs Alternate Criteria proposed for Division 5. Kerr-Tar TAC/TCC met on Thursday, August 24, 2017 from 3-5pm at the KTCOG Office, 1724 Graham Avenue, Henderson, NC. We are in the process of compiling our projects for Prioritization P5.0 in all transportation modes with meetings of the Kerr-Tar P5.0 Subcommitee held on July 25, 2017 and August 15, 2017. The TAC/TCC will discuss the Kerr-Tar projects in all modes as well as the Alternate Criteria at our August 24 meeting. Kerr-Tar RPO is allowed to submit up to 21 projects in each transportation mode to NCDOT. An additional TAC/TCC meeting has been scheduled for Thursday, September 21, 2017 to allow the TAC/TCC to consider and approve the Kerr-Tar highway project submittals and Alternate Criteria by the NCDOT deadline of September 29, 2017. Please feel free to attend the meeting in person or via Conference Call. For Conference Call Option Contact Office for Info Prior to Meeting Date. New!! 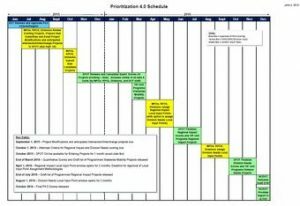 Community Workshops for NC Public Transportation Division Strategic Plan- For the press release and May 2017 workshop schedule please click here. New!! For the P5.0 Updated Schedule (5/23/17) for 2017-2018 please click here. New!! 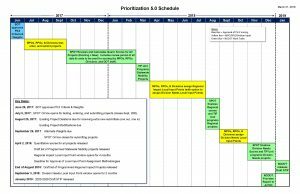 To view the tables of Kerr-Tar Prioritization P5.0 Projects in all modes approved at the September 21, 2017 TAC/TCC meeting, please click here. These TAC/TCC approved projects were then submitted to NCDOT by the September 29, 2017 submission deadline. Kerr-Tar RPO was allowed up to 21 projects per mode. Please note that the last page of the project list also includes KTRPO P4.0 Carryover Highway Projects to P5.0, a P5.0 Highway Project partially in our RPO submitted by Peanut Belt RPO, as well as P5.0 Highway Projects submitted by Division 5 located in Kerr-Tar RPO. New! !To find out when open-house public information meetings are to be held across the state to review projects within the Draft FY18-2027 STIP and to see the Draft 2018-2027 STIP Flier please click here. The Divison 5 & 6 meeting will be held in Lillington from 5-7 pm on April 10, 2017 at Harnett County Government Complex-Commons, 307 Cornelius Harnett Boulevard. 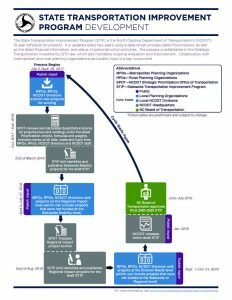 The 2018-2027 Draft State Transportation Improvement Program (STIP) has been released. To see the KTRPO Draft Division and Draft Regional Programmed Projects that made it into the Draft 2018-2027 STIP as well as links to the entire Draft 2018-2027 STIP and press releases, please click here. The Final 2018-2027 STIP is now expected to be released in August 2017 to allow time for NCDOT to make adjustments to reflect updated revenue projections. For further information on the 2018-2027 STIP Development please click here. 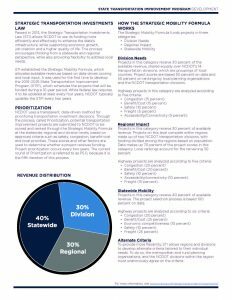 Kerr-Tar TCC/TAC met on June 23, 2016 to approve our KTRPO Prioritization P4.0 local points assignments for Regional Impact Quantitative Scores now that the Division 5 scores are available-please click here to view. To see a copy of KTRPO’s Conditionally Approved Local Input Methodology for SPOT P4.0 please click here. To see tables of KTRPO’s Draft P4.0 local points breakdown for all modes please click here. New!!! P4.0 NCDOT STI Results Map click here. Our next Kerr-Tar TAC/TCC meeting will be held on Wednesday, December 14, 2016 from 3-5pm. Guest speaker will be Mr. Charles Edwards, Director of Logistics Strategy at NCDOT giving us a presentation on Freight Focused Developments in North Carolina. Please click here to see the proposed amendment to the TCC Bylaws (highlighted in yellow on page 1). Please click here for December 14 TAC/TCC Meeting Packet. TAC/TCC Meeting has been rescheduled to Thursday, October 13, 2016. The TAC/TCC will meet on Thursday, October 13, 2016 from 3-5pm at the KTCOG office, 1724 Graham Avenue, Henderson, NC. The TAC/TCC met on Thursday, June 23, 2016 from 3-5pm at the KTCOG office, 1724 Graham Avenue, Henderson, NC. To see the scanned meeting packet for the June 23, 2016 Kerr-Tar TCC/TAC meeting please click here. The TAC/TCC met on Thursday, May 26, 2016 from 3-5pm at the KTCOG office, 1724 Graham Avenue, Henderson, NC. •Approved Amended KTRPO Planning Work Program FY 2015-2016 with amendment Letter, please click here. •Approved KTRPO Planning Work Program for FY 2017, please click here. •Approved KTRPO 5 Year Calendar, please click here. •Endorsed the NC 56 Corridor Study, please click here. For Executive Summary, please click here. •Approved the KTRPO Prioritization P4.0 points assignments for Regional Impact Scores OR postpone until June 23, 2016 when more will be known about the Division 5 scores, please click here. To see the draft agenda for the May 26, 2016 Kerr-Tar TCC/TAC meeting, please click here. The TAC/TCC met on Friday, April 22, 2016 from 3-5pm at the KTCOG office, 1724 Graham Avenue, Henderson, NC. •The meeting was held to approve the draft KTRPO Prioritization P4.0 points assignments guided by the KTRPO methodology as applied to Regional Impact scores . •Receive and approve minutes of last meeting on February 25, 2016, click here for draft copy. To see the agenda from the April 22, 2016 Kerr-Tar TCC/TAC meeting please click here. 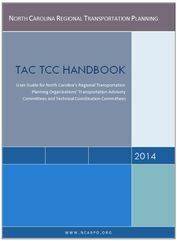 •Comprehensive Transportation Plan (CTP) Study List 2016-As last year, Granville County and Warren County are the Kerr-Tar counties on the list since they have the oldest CTPs. To see the CTP study list, click here. •To see the Kerr-Tar RPO Draft 5 Year Work Plan 2016-2021, click here. •To see the Draft 2016-2017 Planning Work Program, click here. Please send any comments on the CTP Study List 2016, the Kerr-Tar RPO Draft 5 Year Work Plan or the Draft 2016-2017 Planning Work Program to Ann Stroobant, Regional Planner, astroobant@kerrtarcog.org or mail to Ann at Kerr-Tar Regional Council of Governments, PO Box 709, Henderson, NC 27536. •Information on Prioritization 4.O project submittals will also be included in this meeting! For KTRPO Projects click here. After discussing it with the TAC and TCC chairs, the August 27, 2015 TAC/TCC meeting was cancelled due to a lack of agenda items. The next regularly scheduled meeting is Thursday October 8, 2015 from 3:00-5:00pm. At the October meeting we will be approving the list of projects to submit for Prioritization 4.0 and approving the project submittals for 2017 CMAQ funding. 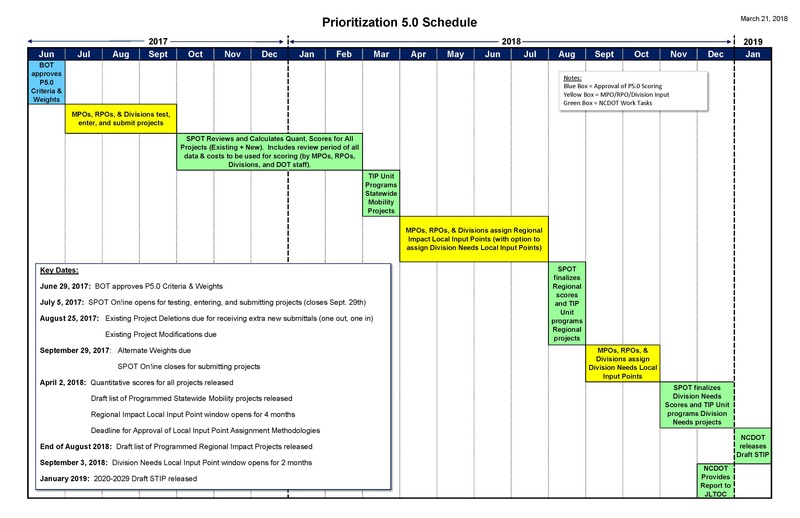 This is an update on Congestion Mitigation & Air Quality (CMAQ) project prioritization for Kerr-Tar RPO. The Kerr-Tar Rural Planning Organization (KTRPO) is accepting project applications for FFY 2017 CMAQ Funds. KTRPO asks that any eligible local government agency informs KTRPO of their plans to submit a CMAQ Project Application for FFY 2017, so that we can plan accordingly to accommodate projects. The number of projects to be submitted for FFY 2017 will impact how we move forward with potential project ranking. 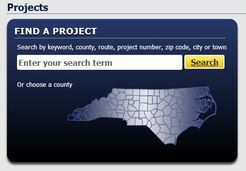 The results are available to the public on NCDOT.gov. The STC Policy and map were presented to the Board of Transportation (BOT) at its February meeting, and they were adopted by the BOT at its March 4, 2015 meeting. A full study report is being completed that will provide more details about the development of STC. Click here to view the final policy and map. You can also find more information on the STC webpage: https://connect.ncdot.gov/projects/planning/Pages/NCTransportationNetwork.aspx. Strategic Transportation Corridors now replace the Strategic Highway Corridors (SHC) that we previously used as a planning tool for Comprehensive Transportation Plans and other long-range planning efforts. March 2015 KTRPO Meeting, Click here for details. Public Meeting Dates for Draft STIP can be seen here. NCDOT has released a Draft NC Strategic Transportation Corridors map with 25 proposed Corridors. Corridors in the KTPRO region include: I-85, US-1, and US-158. The only corridor for the KTRPO region that was in the 2004 SHC that did not make the updated draft STC is US-401. NCDOT is now seeking public comment on the proposed STC policy and map of the 25 corridors before the N.C. Board of Transportation considers the recommendations for adoption. Comments may be submitted by emailing Kerry Morrow, Statewide Plan Engineer, at mailto:kmorrow@ncdot.govor by calling the NCDOT customer service line, 1-877-DOT-4YOU, Monday through Friday from 8 a.m. to 5 p.m. The comment period will close on December 2, 2014. If you see a pothole on a state-maintained road, report it to NCDOT at 1-877-368-4968 or, online. Once on the NCDOT Contacts Page…Scroll down to ” “Reports”. Then, click on “County Contacts” on the left and choose the county where you want to report the pothole.